The Frau loves the European healthcare system. Especially the pharmacies. 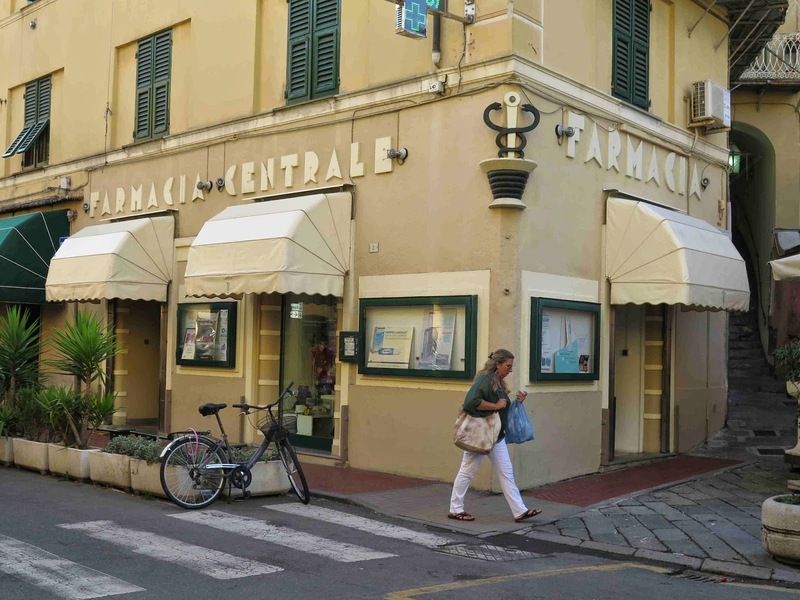 Walk in to an Italian pharmacy wearing your bathing suit and a pained expression and walk out ten minutes later with cream, bandages, and the satisfaction of knowing you survived the sting of a jellyfish and everything will be ok. No waiting, no doctors, and little expense. This was The Frau’s experience last week in Italy. Which reminded her that Swiss pharmacies are as great as Italian ones. Baby M has green puss coming out of her eye at 4:56 p.m. on a Saturday? No problem. Rush to the pharmacy across the street, talk with head pharmacist for one minute, receive eye drops for CHF 7, and by Monday the pink eye is gone and Baby M can go to school and Mommy can go to work. If this doesn’t seem great, consider the dire American alternative. The health clinic. No, you cannot just go directly to the pharmacy with your pink eye or your sting. Two hours of waiting, $400 to see a doctor for five minutes who spends more time on the computer than looking at your sore throat, and then you still have to go to the pharmacy, wait in line, and spend another $100 for medicine. It wastes time, money, and gas, since you most likely have to drive too. Please America, it's time to change from a doctor-centric society to a pharmacy-centric one. Please? Do you love European pharmacies? I'm glad I'm in a managed care system with a small clinic and pharmacy and an actual personal relationship with my doctor, but this is rare, just a piece of luck in this country. I love pharmacies too! After taking a plunge off a higher than normal diving board I had water trapped in my ear but when it didn't go after a few days - and believe me I'd tried everything - I began scaring myself with horror stories online about ear infections, etc. Finally, I went along to my nearest pharmacy in Winterthur for ear drops and was seen by a lovely lady who spoke great English and reassured me that I wouldn't need ear drops and everything was ok - and it was, the very next day I was cured! I learned something new about Swiss pharmacies today. You can rent crutches from them! From seeing the piles of discarded crutches at US thrift stores, I always assumed you had to buy them. Maybe you always do in the states.